TDP's Offer: 15 MLA & 3 MP Seats For Cong? Alliance partners of TDP keep on changing after every 5 years. Chandrababu Naidu had thrown the blame of BJP after facing crushing defeat in 2004. He went along with TRS and Communists in 2009 but wasn't able to come back to power. In 2014, Jana Sena and BJP were instrumental in fetching TDP it's lost glory after a decade. And now, The TDP Supremo is moving closely with Congress for 2019 Polls. 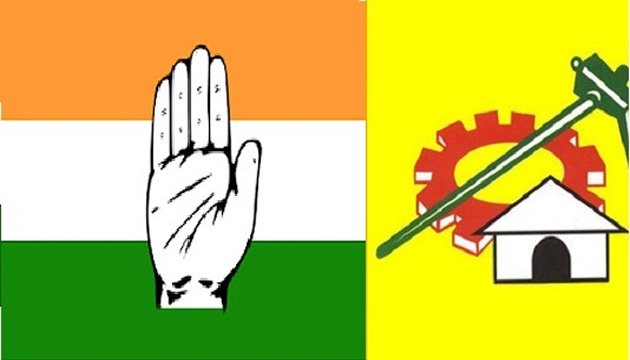 If the pre-poll alliance materializes, TDP could be offering 15 MLA seats and 3 MP Seats to Congress. Chandrababu Naidu won't even mind offering few more MP Seats to the National Party for the tie-up. Speculations are abuzz that few SC/ST Reserved Seats in Uttar Andhra and Coastal Districts will be offered to Congress as part of the deal. Most of them happens to be those constituencies where YCP MLAs defected to TDP. When it comes to Rayalaseema, Constituencies where the winning chances look bleak would be offered to Congress. Even Rajampet MP ticket could be one of them. On the other hand, YS Jagan feels no necessity to form pre-poll alliance. He is damn sure about YSR Congress getting hold of power in the next elections even by contesting alone. Is Nara Lokesh A CM Material? Kerala Floods: Cricketer Leads By Example!